UPDATE 8.14.13: Pulling the plug on the Z3 Coupe Colors Shirt. Bummed to have to do this, considering the hours that I have invested, but there just isn’t enough interest from Z3 Coupe owners and enthusiasts to make it happen. 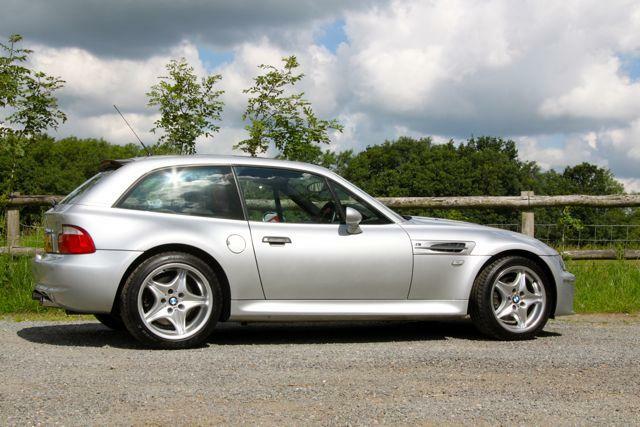 Nearly half of the total M Coupe Colors shirt orders were placed in the first few days. Assuming the same for the Z3 Coupe Colors Shirt, there would only be a handful of orders in total, which would cost me a serious chunk of change to order from my supplier. Ya win some you lose some. On to the next design! All orders have been refunded. Thanks for your understanding! Inspired by a shirt designed by Experimental Jetset, I wanted to design a type shirt for Z3 Coupe fans (just like the previous, now sold-out M Coupe shirt), that would be recognizable by fellow BMW enthusiasts. Listed are the 16 colors offered by BMW while it was available worldwide between 1998 – 2002, along with a simple outline of the Z3 Coupe itself. The design will be screen printed with white discharge ink on an American Apparel 2001 100% cotton unisex t-shirt, described by the company itself as the “softest, smoothest, best-looking short sleeve tee shirt available anywhere”. The fabric size label will be removed and a “tagless size label” printed on the inside of the shirt. 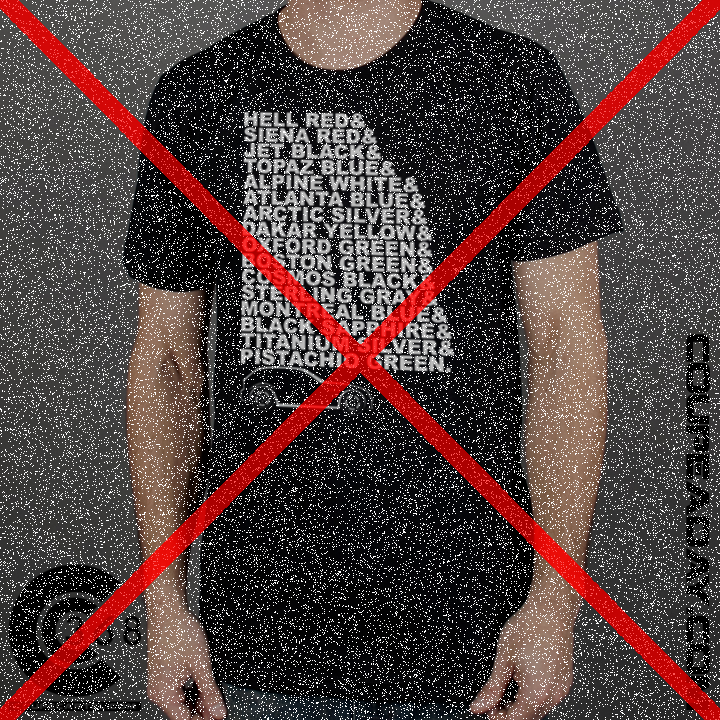 All-in-all, these are a very comfortable shirt, with a “no feel” screen print, tagless size label, and high quality American Apparel shirt. Please refer to the sizing chart before ordering, as the shirts will be made to order. Like all cotton shirts, it will shrink, more or less depending upon how you wash and dry it. Here’s a good write-up on this specific shirt to aid you in choosing which size to order. The design and placement may change slightly, but will remain true to the overall look seen here. 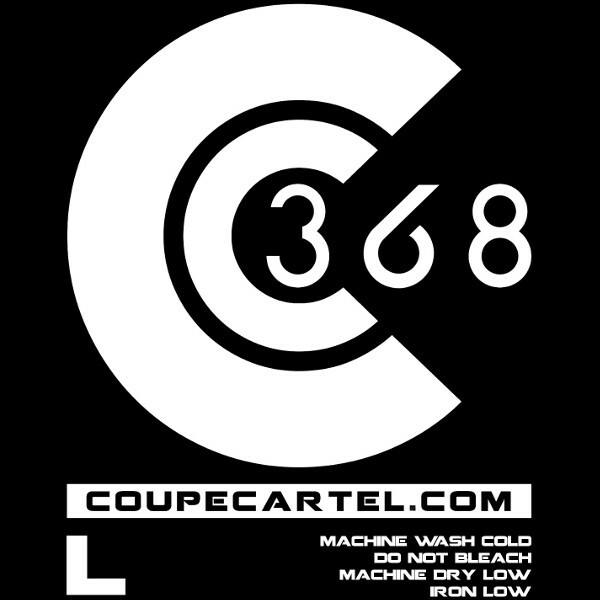 The shirts have a tagless size label that will be printed on the inside collar of the M Coupe Colors shirt. I’ll take orders for a few weeks and then send it off to my supplier for fulfillment. I should have the shirts from them within 2 weeks. Orders will then be packaged and shipped via USPS. If all goes smoothly as planned, you’ll receive your shirts by the end of the first week of September.